Poor, poor blog... how I neglect you so. At any rate I made some updates to my list of drawing groups around the DFW metroplex. 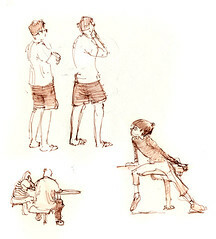 I didn't check everything so feel free to berate me, but there are a couple new figure drawing groups. 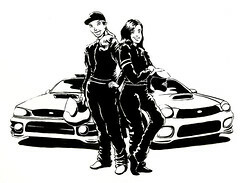 A racer friend (Christy Carlson, right) asked me to draw a picture for a t-shirt. The car and driver on the left (Brianne Corn) is the team I co-drive (navigate) for! This was one of the last kinds of tree to die out on Mars. The large trunk stored up plenty of water in the increasingly dry conditions. Ink in sketchbook. 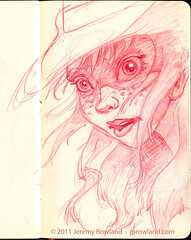 Initial sketch done in Col-Erase Carmine Red (and looked much better!) Copic F01 drawing pen, Zebra super fine sign pen, water brushes with mid-tone and black washes. 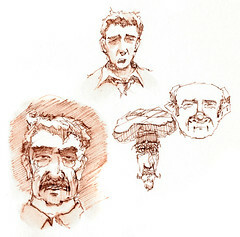 Playing around with a Copic sepia fountain pen I got a couple weeks ago. 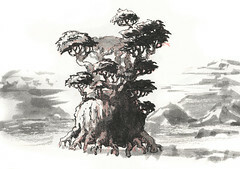 I love it, except the point is a little too fine for this kind of sketching and the ink keeps running nearly dry. It's supposed to be waterproof but it bleeds just enough to make some nice washes with the water brush, perfect for this kind of sketching. The drawings probably look larger than the real versions, the super fine point inspires tiny scratches rather than bold strokes. More sketches later while watching TV. Mostly from imagination but inspired by people I saw. PS. I have a new son less than 48 hours old. 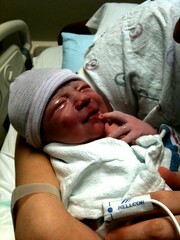 Toby Alexander, 8 lbs. 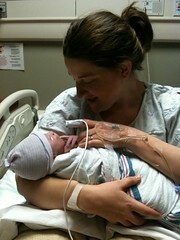 1 oz., born 9:39 PM March 31, 2011. Welcome to the new kid. Another year come and gone without posting anything. Sigh. 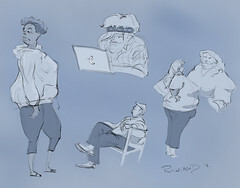 I updated my list of DFW sketch groups to include a new uptown group and link to the Visual Arts Guild of Frisco which hosts figure drawing workshops from time to time. 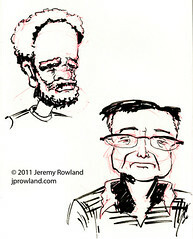 Here's a couple girls I drew last night at the Drink and Draw DFW. The black thing growing out of the left girl's head is me splotching the ink by accident before it was dry. Pen & ink wash (left), 5"x8"; pencil and watercolor (right) 5"x8". 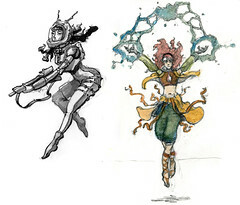 I am an animator and aspiring story artist with varied experience in both 2D hand-drawn and 3D CGI charater animation. Lately I've been painting as well. I just love telling stories through visual art! In my previous life I was a microelectronics circuit design engineer for IBM in Burlington, VT. I don't miss the work (most of the time) but I definitely miss the mountains and snow! I live just outside Dallas in Mckinney, TX with my wife Stacey and son Ian.